Getting the most use out of a small space can be a challenge, but the right organization solutions can help you entirely reimagine your home. Small spaces have incredible potential whether you need additional storage, private reading space, or an in-home office, no small space should go underutilized. Homeowners typically underestimate the total volume of storage space potentially available to them. 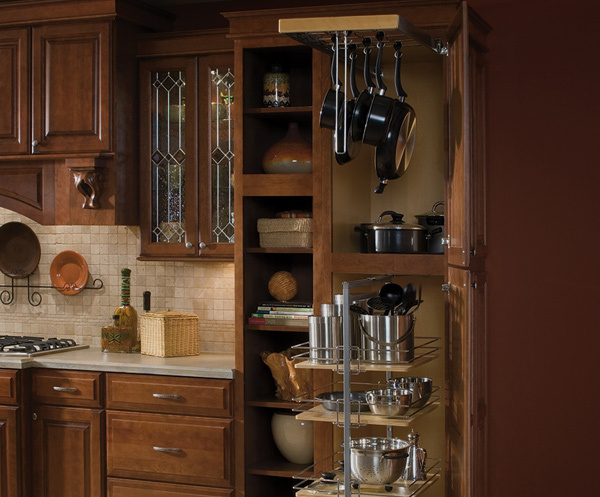 Specialty shelving and semi-custom cabinets can help you use every possible nook. High quality shelving allows you to get extra creative, placing rarely used items above things which need to be accessed more frequently. Mid-level shelving can serve both aesthetic and functional purposes, and can be used for books, personal items, and holiday décor. Kitchen cabinets and islands can all be used to store items when they are not in use. Semi-custom cabinets can be easily reconfigured for maximum space. Today’s options allow for many organizational tools to maximize your space. Once you have organized a small space, a liberating feeling that comes with putting into action usually follows. If you are looking to reorganize and make the most of the small space(s) in your home, contact ASA to learn how we can help or stop into our showroom.